There is no more relaxing way to enjoy the history and beauty of the cities and villages that line the Danube river than on a river cruise. 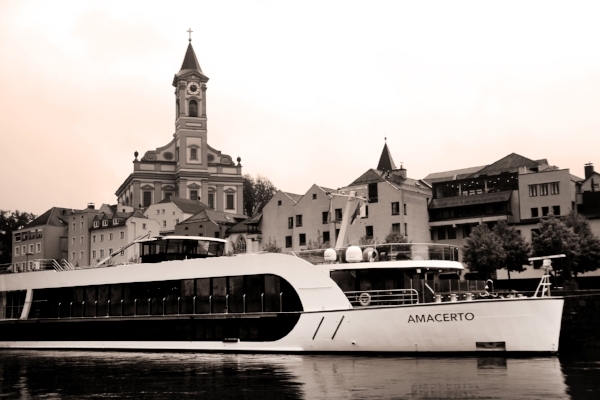 Do as little or as much as you like as AmaWaterways' Amacerto sails from Passau Germany to Budapest Hungary. 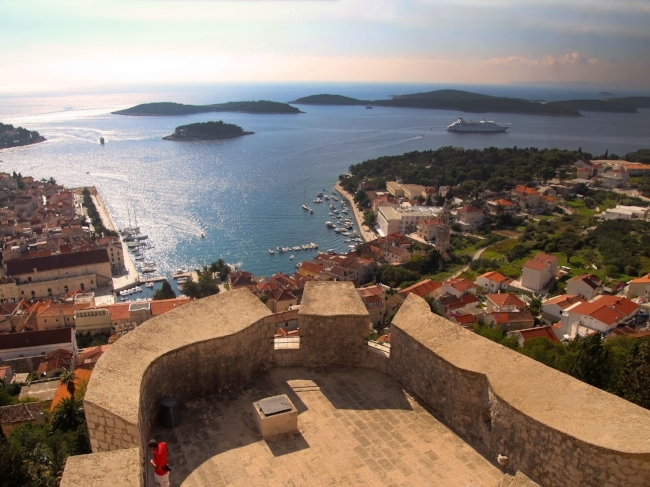 Log onto our photo gallery at USATODAY/10Best.com to see images of this unforgettable adventure. A few months ago, my husband Tony and I spent the entire month of October traveling in Europe, with just one small carry-on and backpack each in tow. I’ve written about how to travel carry- on only in several posts, and each time I return from such a trip, I find a few more items to recommend to my readers. A travel wrap is an essential if you go the "carry-on only" route. Shoulder-season travel is a special challenge, as you have to prepare for every weather condition that might arise. Since we were traveling from Germany to Greece, I knew I had to have an outer wrap that would adjust to the fluctuating temperatures along our route. 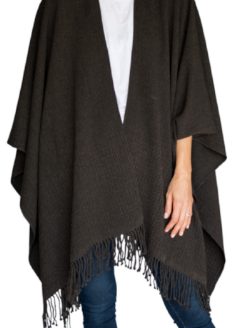 I found just what I needed on the Mer Sea website—a classic travel wrap that would serve as a blanket on our chilly plane trip over the big pond, as well as a welcome companion on Europe’s city streets and on our cruise ship voyages. Not only does this wrap look quite elegant, it is very well made and drapes beautiful in a variety of configurations over the body. It provided great protection and warmth during some chilly rain storms in Bavaria and on a drafty vaporetto ride in Venice. It washes and dries well, even without access to a dryer (I draped it over our ship’s balcony to dry overnight, which it did despite the humidity in the air). As an added bonus, it comes with a matching bag that, when stuffed with the wrap, serves as a comfortable travel pillow. This means you can carry it on the plane without packing it in your carry-on, saving space and weight for other items. Thumbs up to this product! It is going to be my staple on all my future trips. Having a reliable internet connection while on the road is important to any traveler, especially for journalists. While many tech pundits claim that free Wi-Fi is available all over Europe, we had just the opposite experience during our previous trip last year. That is why, this time around, we decided to give RoamingMan, a global, pocket-sized portable Wi-Fi hotspot that works without SIM cards or cables, a try. It became our best friend as we traveled through 8 countries in four weeks. Just switch it on and you will be able to connect your phone and laptop for instant internet gratification. It offers unlimited global data in 68 countries around the world. This device connected to the strongest 4G networks available, and is capable of simultaneously connecting up to five devices. The cost is $9.95 per day for this comprehensive service and the device will arrive at your door one or two days before your departure. You’ll return your device via a pre-paid shipping label. While we were only two people on the network, you can imagine how ideal and cost effective this would be for family vacations, trips with friends, or business trips with colleagues, since one device can keep five people connected. As working journalists, it was such a pleasure to be able to effortlessly access the internet to download maps, research web sites, email, and upload to our social media and websites in any situation. 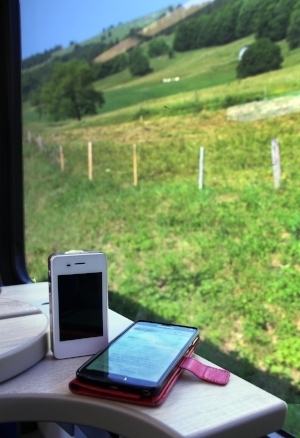 Whether we were on a bus, train, or walking along Europe’s city streets, we had internet access. We were in Internet heaven throughout our long trip! Okay, it may be cool to take travel notes these days by talking into your cell phone, but my husband is old school and loves to chronicle our adventures the old-fashioned way, with a travel journal. This gorgeous leather-bound diary looks like something right out of a Masterpiece Theatre episode—and is fine enough to be put on permanent display on our bookshelf when its pages are full. Check them out at Soothi.com. LOVE these shoes for all sorts of activities! I realize this travel column is about items that make traveling more comfortable and less stressful, but when I come across a product I love, I take the liberty to report on it. These slip-on sneakers from the folks at Zenzee have certainly made the hours I spend in front of the computer more comfortable. The cushioned platform provides arch support and after a few wears, they stretch and form to your feet for the ultimate in comfort. I only wish I could tuck these into my carry-on during our press trips, but I’m afraid their size (though they are lightweight) makes this unpractical. You can’t have it all. 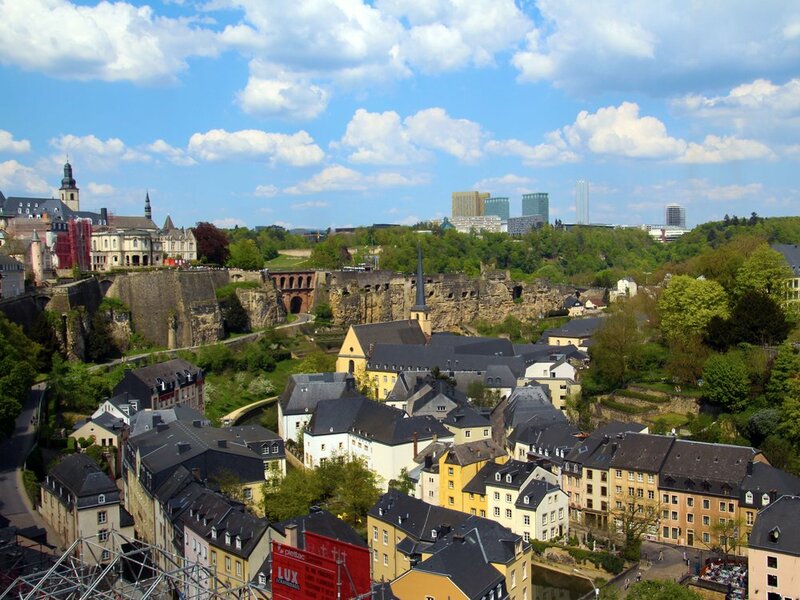 Explore the history and beauty of the City of Luxembourg, as highlighted in this USA TODAY/10Best article. My fascination with the ScotteVest began after one of those travel horror moments you like to think would never happen to you. My husband and I were touring Paris in early May, on a national holiday. We boarded a packed bus that brought us to the Louvre, but our “magical” afternoon took a turn for the worst when, in the middle of the square, my husband realized his wallet and passport had been “magically” stolen by quite an accomplished thief during our transit! We spent the next four hours in a Parisian police station, filing a report which actually yielded us no benefit, even with our trip insurance in place. Much of our trip to Paris was ruined because of this incident, as you can imagine. Bottom line is, it is YOUR job to protect those precious belongings, so upon our return home, I made it my mission to thoroughly research all the travel vests out there to ensure this would never happen again. Hands down, the ScotteVest won out over all the competition! 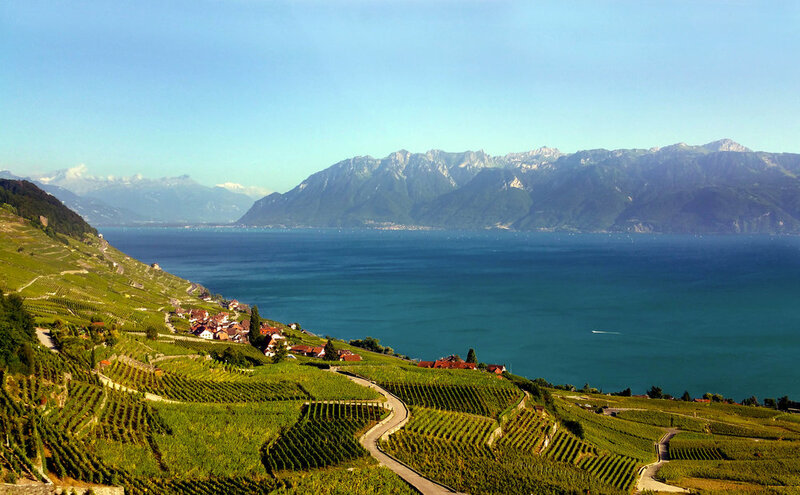 "On my recent travel to Switzerland, there’s no doubt the ScotteVest, with its 14 convenient pockets, played a huge role in making my entire travel experience worry-free. The benefits were instant when we went through security at our home airport in San Diego. The items I normally carried in my trousers and jacket pocket were transferred into assigned pockets in my vest. This included my wallet and passport (which were placed in the RFID pockets for security) and several miscellaneous items such as phone, keys, pens, eyeglasses, and wristwatch. It is so convenient to have all your items safely nestled in your vest, with no need to use those TSA item trays and worrying about whether you will walk away and forget them in the stress of the moment. Everything is packed right there, in the vest. There’s even room for an IPad or tablet. The zippered pockets and special RFID area bring a secure aspect to this vest. Nothing will fall out, plus you will be protected from scammers with the RFID feature. As a photographer and a writer on the go I had a convenient pocket for my journal and pen and pencils that I use to chronicle my travel adventures. Other items such as camera SD cards and batteries all tuck away in the vest within easy reach when needed. If you love listening to music on the road, there is a convenient internal route through specially designed channels for headphones/bud wiring. The feature eliminates the clutter of wires often experienced when operating player devices externally. The vest was extremely comfortable in all weather conditions we encountered. It took me through unseasonable, scorching heat one day as we hiked through the mountains, and protected me from a chilly wind another day, when the zipped front of the vest served as a windbreaker. The ScotteVest has become my constant traveling companion and there’s no way I would ever leave home without it." While San Antonio, Texas is deservedly proud of its iconic landmark, The Alamo, the city offers a wide variety of attractions and activities for visitors of all ages. 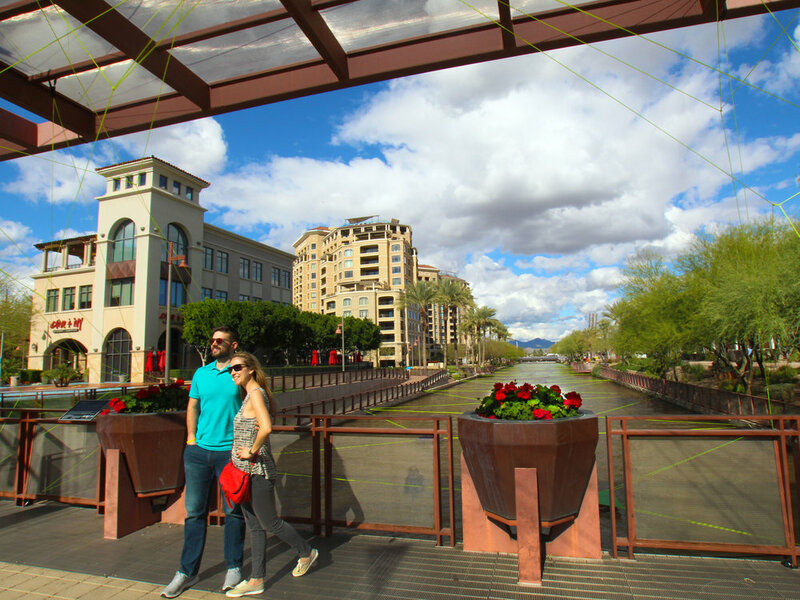 The recent expansion of the world-famous River Walk has also stimulated renovation projects of historical sites along its way, as well as new construction. A cultural tourism mecca, San Antonio's history can be seen today in its 18th century Missions and historic downtown, as well in its many outstanding museums. Recreational activities abound along the river and in the city's parks and neighborhoods. Colorful festivals year-round, a rich ethnic heritage, a vibrant dining scene, and a convention center expansion are just some of the reasons visitors continue to make their way to San Antonio for business and pleasure. If you’ve been following my blog, you know my fondest word of advice to all you travelers out there is: TRAVEL LIGHT. This means packing all your belongings in a carry-on which is small enough to stow on the plane in the luggage rack above you, and keeping your personal items (and any expensive gadgets) in a small bag that you can place underneath your seat. 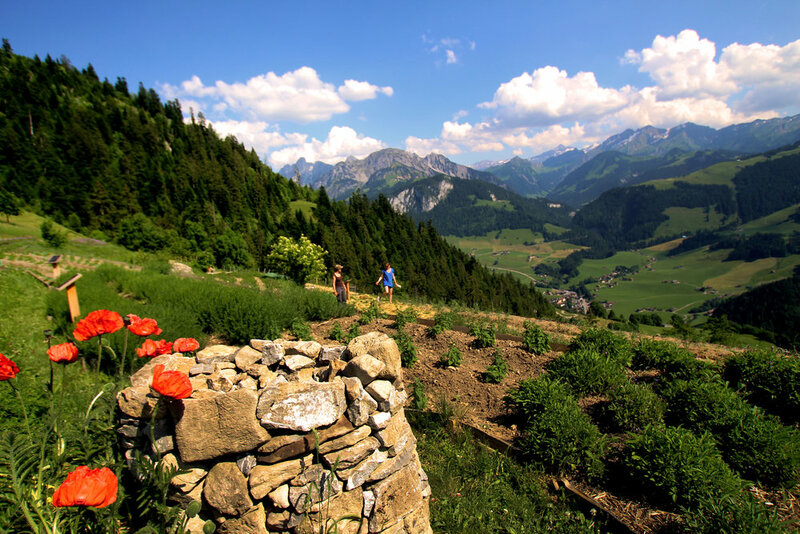 I know many of you may balk at this suggestion, but my husband and I managed to tour Europe for 25 days in all weather conditions with our small carry-ons and backpacks. And were we ever glad we did! The sense of freedom to have just a small piece of wheeled luggage to accompany you on your travels is worth its weight in gold. If you haven’t seen it, here is the link to our blog on this subject. This is why I am constantly in the lookout for travel items that are super light and take up nominal room in a carry-on. The most challenging item, especially for us ladies, is packing shoes (to go with every outfit and activity) in limited space. When I stumbled upon the BZEES website while searching “travel shoes,” I was intrigued by how they were marketed as super lightweight . But could they stand up to the rigors of travel? In my desire to answer this question, I recently put a few pairs of BZEES travel shoes to the test. The first thing I noticed was that they were, indeed, the lightest shoes I had ever experienced. This is important because we often travel internationally and stricter weight restrictions on carry-on bags are enforced on intra-country flights. 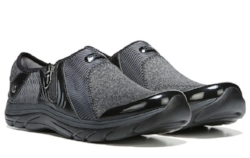 As if this weren’t enough, they were also super comfortable, due to their free-foam foot beds, air infused outsoles, and dynamic stretch uppers. An added bonus is that they are machine washable, so important if you are off on a month-long adventure as you can just wash them in the hotel sink or laundromat. Just remember not to put them in a dryer, as they need a natural air-dry to maintain their shape. I easily packed a Knockout Sandal in my carry-on for a two-week press tour through California, and wore the Slip Ons on the flight (and wore them as well on all my hiking, biking and walking adventures, too.) The sandals were elegant enough to wear for more formal occasions, as well as for pool-side receptions, and the like. You may note that both of these shoes are black, which I find easiest to coordinate with all my outfits, but they do come in many colors. The key, however, to carry-on packing is to choose a color theme and only pack items that match this theme. I haven’t tested out the Wink water shoe as yet, but will be doing so soon on an exotic adventure that includes lots of kayaking. A special design promises to remove excess water easily, so that you are not bothered by “wet feet” –in any capacity—during your adventure. Disclaimer: Please note that the opinions expressed in this article are strictly my own. I was not compensated by the companies represented in my reviews, nor will I receive any future compensation based on sales arising from my recommendations.